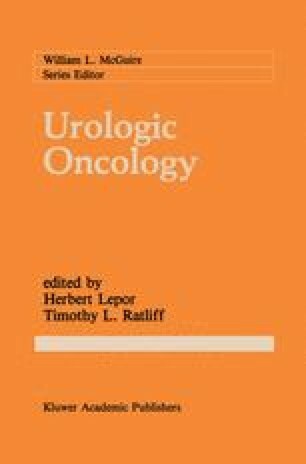 Radical perineal prostatectomy was originally described by Kuchler in Germany in 1866 . Hugh Hampton Young modified the perineal approach to radical prostatectomy by making the operation more anatomical and practical . Young’s original technique was associated with urinary-incontinence in approximately 50% of cases . The surgical approach to radical prostatectomy has undergone many additional modifications and refinements. Vest described a technique for approximating the bladder to the urethra so that tension would be taken off the external sphincter . The anastamosis was performed using mattress sutures placed anteriorly and laterally. Jewett further modified the anastamosis by substituting simple sutures for Vest’s mattress sutures and by providing a mattress suture that approximated the anterolateral bladder wall to the urethra . The water tight anastomosis of the bladder and urethra decreased the incidence of incontinence and anastomotic strictures.